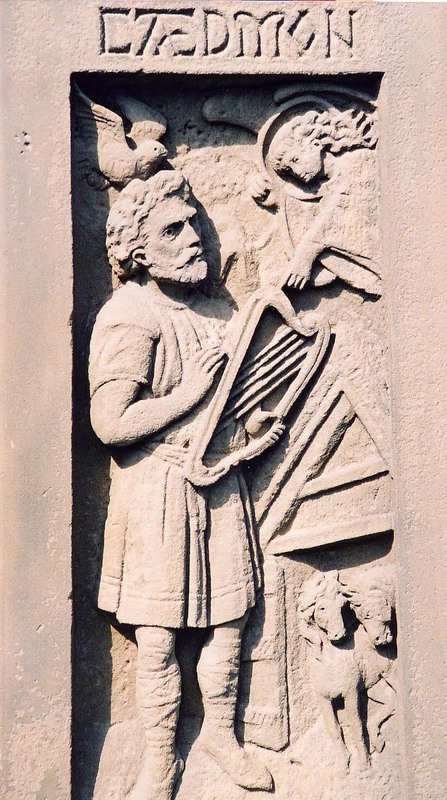 In the beginning, maybe, was Caedmon, an Anglo-Saxon poet from Whitby Abbey around the mid to late 7th century, who we first hear about from Bede. After a powerful dream Caedmon was able, it is said, to create powerful verses which the Abbess of Whitby, Hilda, recognised as sacred. Caedmon wrote in Old English (there is a stunning audio link to hear this on Wikipedia) although Bede translated the verse into Latin to neuter and make safe its original power. As Caedmon was originally a herdsman we can sense that this first work of the English language arose from the land to produce sacred verse. Soon enough came the Mystery plays, perhaps originating as early as the fifth century in parts of Europe. These usually represented the Bible stories in cycles lasting up to four days and often performed in medieval times by members of the craft guilds. At first they would have been performed in or near to churches until their performance was banned by Pope Innocent III in the thirteenth century. This sent the plays away from the Church and into the towns and market squares in places like Wakefield and York. By the 15th century they became associated with special festival days marking the turning of the year through the seasons and began to be performed by professional and amateur actors. 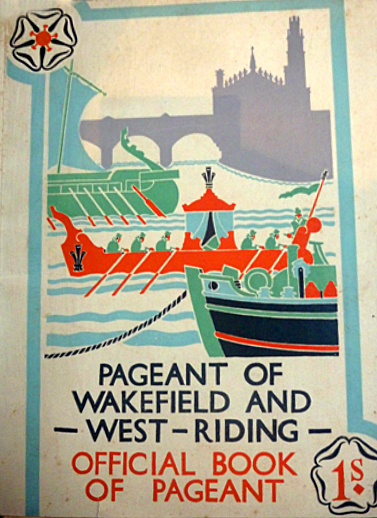 In the Elizabethan era the cycles were reconstructed from the older medieval pageants and complete collections of plays existed at York (48 pageants), Wakefield (32 pageants) and Chester (24 pageants). There were also three performed in Cornish and one in East Anglia. 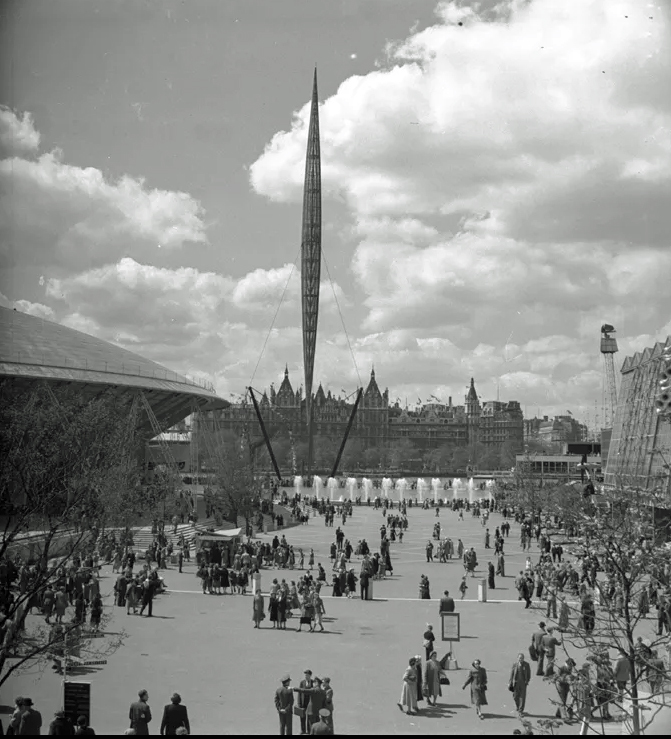 They were considered so much part of Britain’s heritage that they were revived as part of the Festival of Britain in 1951. This was a cultural celebration to uplift the spirits of the people in recovering from the Second World War. The four and a half acre site on the south bank of the Thames featured 22 pavilions with 13 restaurants, cafes and bars. Water flowing, water cleansing, water making this a green and pleasant land. Water ( the spring, the stream, the fountain) surfaces again in the work of ‘the Father of English poetry’ (Dryden) – Geoffrey Chaucer, who was born in London around 1340. Dryden described Chaucer as ‘a perpetual Fountain’ and Ackroyd again picks up on this flowing of language in his book ‘Albion.’ Here it is suggested that Chaucer flows into Spenser flows into Dryden flows into Milton and on into Blake. After Shakespeare, the peerless poet and playwright, perhaps Chaucer is the master of English writing. 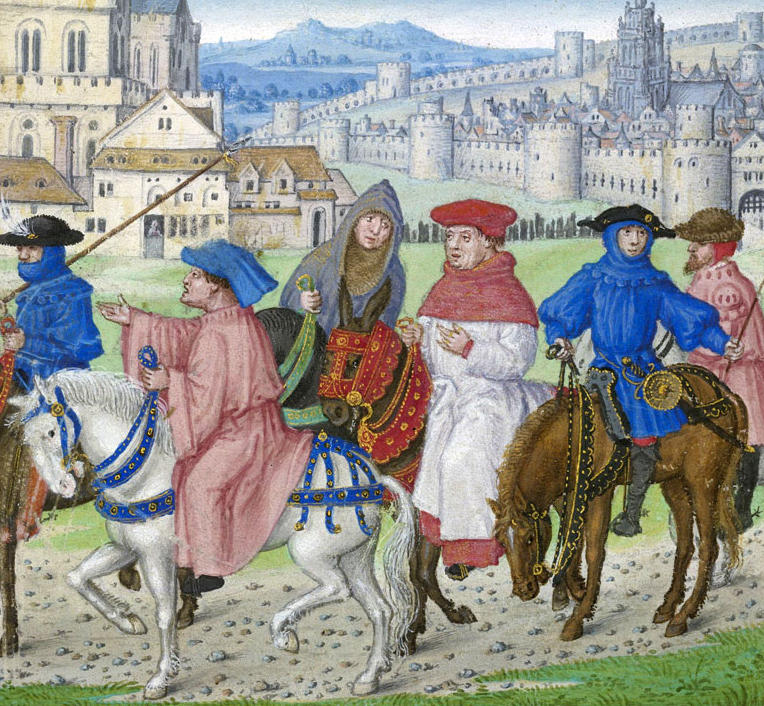 ‘The Canterbury Tales’ is his best known work and it captures the essence of the late Middle Ages with its formidable portraits of men and women who cry, rage, swear a lot, die young and were very different from the Britons who later experienced the Enlightenment, the Industrial Revolution and the Empire. Chaucer drew from many sources but was particularly influenced by the Italian poet Dante (1265-1321) – for here were the first expressions of the complex human personality in writing that communicated to all. In the storytelling, the pilgrims of ‘The Canterbury Tales’ reveal ‘a picture of a disordered Christian society in a state of obsolescence, decline and uncertainty; we do not know where it is headed. (Donald Howard quoted in ‘The Western Canon’ by Harold Bloom (Macmillan 1995). Does this sound familiar? Well, here lies the timeless power of Chaucer. Chaucer died in 1400 and Thomas Malory was born fifteen years later and died in 1471. 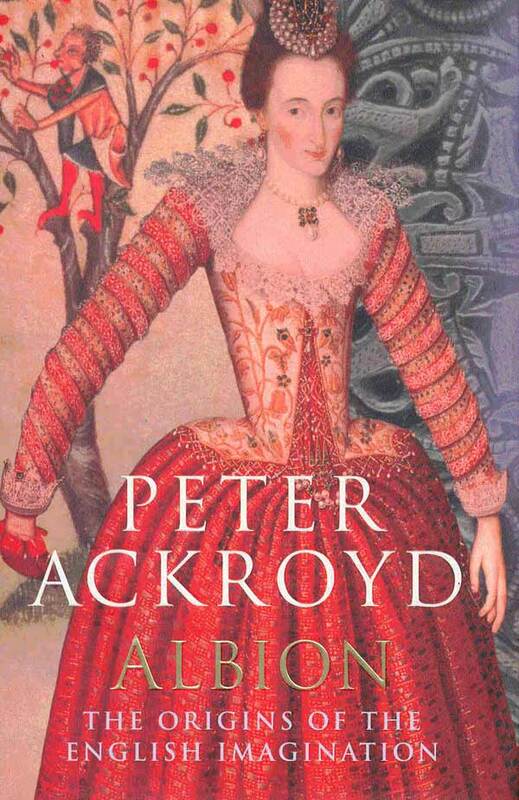 He lived during the time of the War of the Roses, the battle between the families of Lancaster and York (the red and the white roses), a turbulent era. Malory spent many years in prison and in fact finished ‘Le Morte Darthur’ in jail. ‘Le morte Darthur’ is a romantic chivalrous telling of the story of a group of knights and their adventures. The knights are usually in love with romantic heroines which lead them into difficult circumstances – Guinivere, Isoud, Elaine, Morgan le Fay, the Lady of the Lake all play central roles in the events and are extremely powerful figures. Then there is fighting and warfare. And then there is the Tale of the Sangreal (the Holy Grail), reported to be the cup used by Christ at the Last Supper and brought to Britain by Joseph of Arimathea. The legend maintained that the cup (or in another version the cruets) contained some of the blood of Jesus from the Crucifixion. So the cup, mystical, desired, elusive becomes the subject of the knight’s quest and represents a spiritual ideal. The knight who succeeds in the quest will have to blend earthly chivalry with spiritual holiness. Added to this we have the magical figure of Merlin who warns, goads and ‘sees’ the future of the unfolding story where the Round Table of King Arthur and his Knights will fail and fall apart. John and Caitlin Matthews are contemporary authors and researchers who have been writing and publishing books on this subject for many years. In 2017 they produced ‘The Complete King Arthur – Many Faces, One Hero’ (Inner Traditions) which draws a lot of their work together and is a good place to start for anyone wishing to understand the complex nature of the Arthurian traditions. 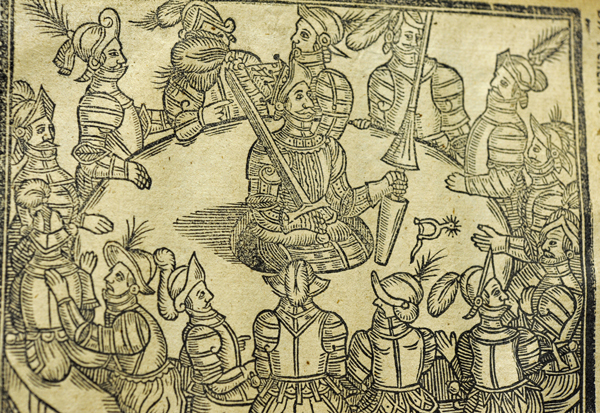 Malory begins a stream of enchantment in British literary history. Arthur, the once and future King will return at the hour of need. In fact there is a prosaic account in Ronald Heaver’s papers of King Arthur hovering over Queen Elizabeth II in Westminster Abbey at the time of her coronation. Arthur represents ‘sanctified leadership, uniting England and the Holy Grail’ according to Ackroyd. In literature Arthur re-appears strongly in the 19th century, restored by Tennyson (1809-1892) in ‘Idylls of the King’. 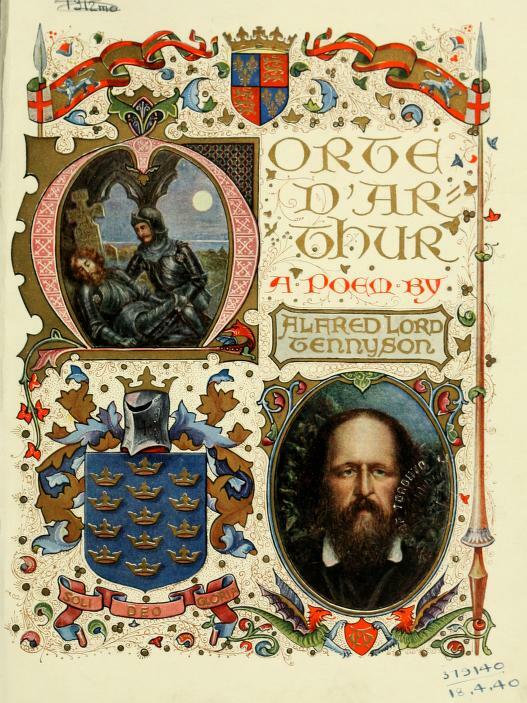 Arthur was returned to a central role in Albion’s story by Tennyson. He would read early versions of his Grail stories to a young Alice Buckton when she visited him, surely preparing her for her later role as Guardian of the holy well in Glastonbury. Beverly Taylor and Elizabeth Brewer in ‘The Return of King Arthur’ maintain ‘that the Arthurian legend was more than legend, was in fact the great natural fount of myth and symbol.’ Tennyson admitted that as a child he drew inspiration from Malory. Since then, many others have drawn inspiration from Tennyson right up to our present time. (see John and Caitlin Matthews). Williams heard Tolkien read aloud from early drafts of ‘The Lord of the Rings’ (written between 1937 and 1949) and they would argue away about whether there was too much about elves and dwarves in any particular passage. There is a view that the writings of Tolkien and Lewis are escapist fantasy and not concerned with matters of the 20th and 21st centuries, but this does not hold up. Their writings, now turned into mostly excellent cinema, seem to resonate louder than ever. 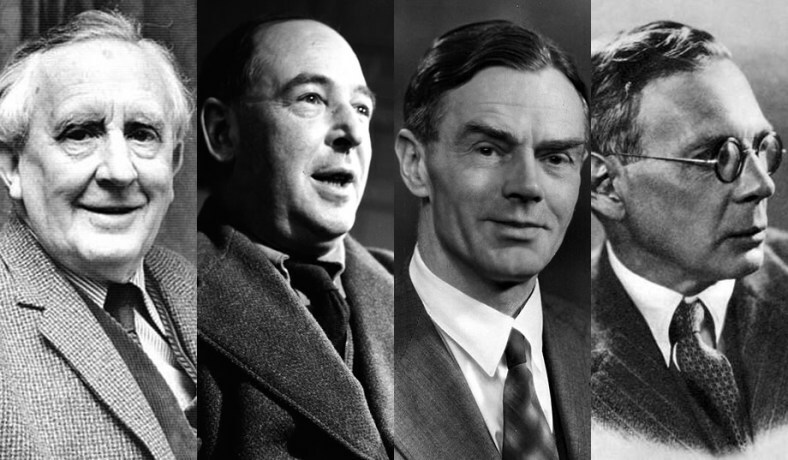 While Eliot, Beckett and Joyce are the giants of 20th century writing their largely secular view of life was not based on actual experience of the First World War whereas Tolkien and Lewis had been on the Western Front and experienced the savage brutality of that conflict. 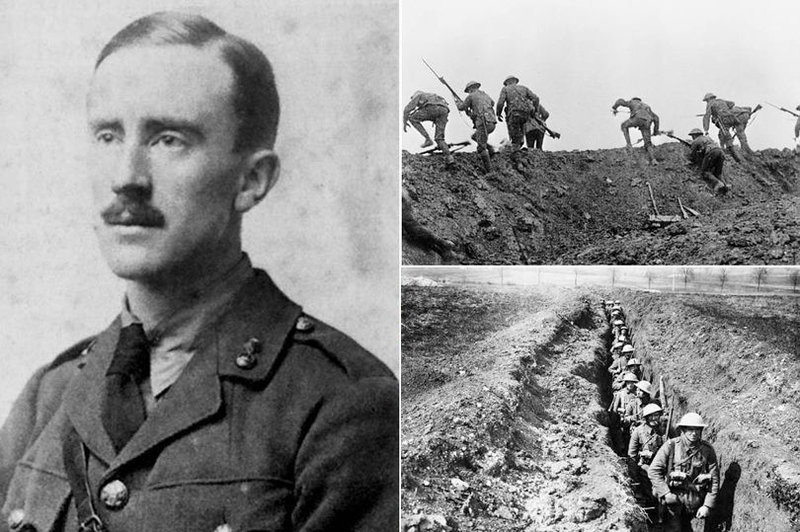 Tom Shippey has had much to say about this (‘J.R.R.Tolkien: Author of the Century. Harper Collins 2010) and his ‘Road to Middle Earth’ says that Tolkien was one of a group of ‘traumatised authors’ writing fantasy but voicing in that fantasy the most pressing and most immediately relevant issues of the whole monstrous 20th century – questions of industrialised warfare, the origin of evil and the nature of humanity. There is so much contemporary interest in The Inklings. 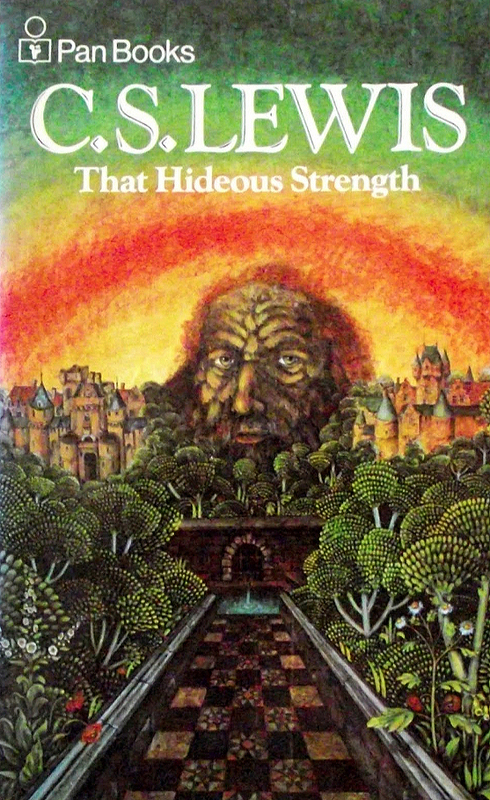 In 1990 Gareth Knight published ‘The Magical World of the Inklings’ (Element Books). Knight points out that from 1922 Owen Barfield, another Inkling, may have been the one to open the door of the Western mysteries to the other Inklings. Barfield was an Anthroposophist who followed the teachings of Rudolf Steiner and it was he who recommended Knight’s book as ‘outstanding’. Now, academic studies of these writers flourish and as recently as 2017 Sorina Higgins collected a large volume of essays ‘The Inklings and King Arthur’ (Apocryphile Press) covering a vast array of research into their work. Tucked away at the end of the book is an essay by Malcolm Guite, Chaplain of Girton College, Cambridge, which contemporises the mythology of these writers in a chapter called ‘Once and Future: The Inklings, Arthur and Prophetic Insight’. He points out that the fragmentation of life in the Modernist agenda as a result of two world wars was rescued in the tales of Narnia and Middle Earth. They sought to restore the hero and hope and holism to our lives. Guite zones in on the conversation between Gandalf and Saruman when Saruman, revealing his hand sneers, ‘White! It serves as a beginning. White cloth may be dyed. The white page can be overwritten; and the white light can be broken.’ Gandalf replies, ‘And he that breaks a thing to find out what it is has left the path of wisdom.’ Guite considers this one of the wisest statements written in the 20th century. He also points out that the wonderful small and humble heroes, Bilbo and Frodo, are simple folk ready to make the greatest sacrifice for the Quest or the Mission. 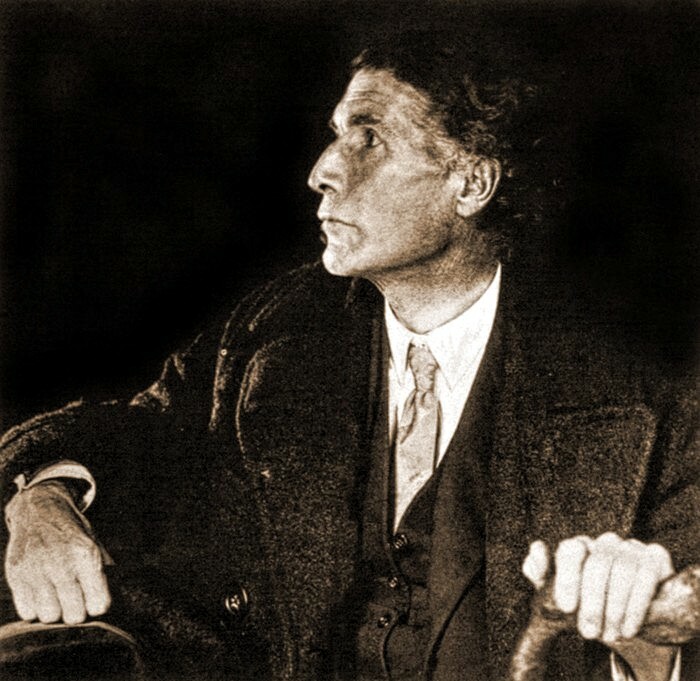 A writer who based much of his work around this idea of stone, wood, iron, the wonder of things and a sense of place is John Cowper Powys (1872-1963) who Peter Ackroyd in ‘Albion’ said, ‘invoked the sensations of walking in such a secluded place where “the spirit of the earth called out to him from the green shoots beneath his feet” so that he was filled with the genius loci and sustained by it. Here also he experienced “the innumerable personalities of all the men and women who for generations have gone up and down” these tracks across the earth.’ Ackroyd links this sense of place to Tennyson’s couplet in ‘In Memoriam’ ‘I know that this was Life – the track/ Whereon with equal feet we fared’ and Keats’s ‘The poetry of earth is never dead’ and concludes that ‘to be surrounded by the melody of landscape is to be blessed, to rest in the sleep of origins in which there is no difference between humankind and the natural world.’ This union drawn out of our sense of place has to be our aim set against the technocratic triumphalism of an almost virtual man-made world. Powys was born in Shirley, Derbyshire and educated at Sherborne School. His first novel was published in 1915, ‘Wood and Stone’ which he dedicated to Thomas Hardy. It wasn’t until 1929 that he achieved success with ‘Wolf Solent’. Following this ‘A Glastonbury Romance’ was his triumph followed by ‘Weymouth Sands’ in 1934 and ‘Maiden Castle in 1936. For much of this time Powys was living in America (including time in Greenwich Village) and was friends with the dancer Isadora Duncan. In 1934 he moved back to England settling in Dorset with his American partner Phyllis Playter. Later they moved to Corwen in Wales and from 1955 lived in Blaenau Ffestiniog, at the top of a steep little street running off the main road. 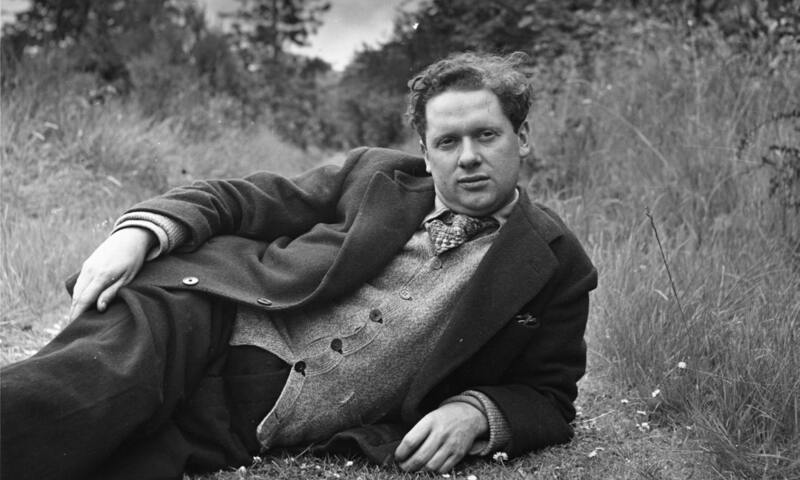 In Wales he immersed himself in Welsh literature and culture producing ‘Owen Glendwr’ in 1941 and another masterpiece ‘Porius’ in 1951. He divides opinion yet has had many supporters down the years including Annie Dillard who described him as a powerful genius. Certainly ‘A Glastonbury Romance’ places the Grail at the centre of events in a fully described Glastonbury town so alive that its characters can still be seen wandering around 85 years later. 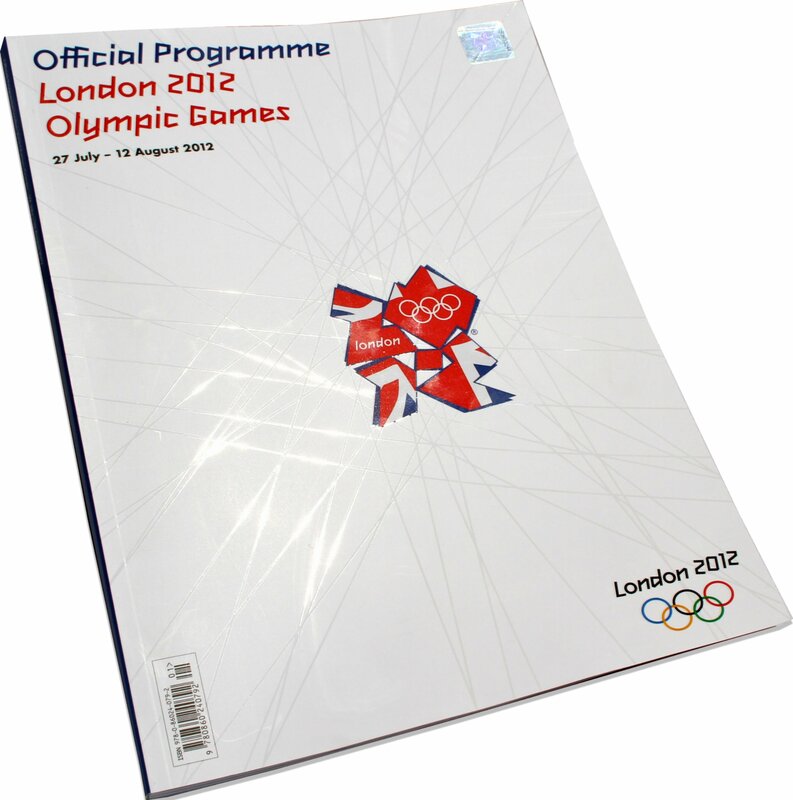 It is a huge novel (1174 pages). One of the many symbolically intriguing characters Mr. Owen Evans gives us insight into Powys’ research and understanding on page 739 ‘What I am telling you is mostly from the Book of Taliesin and from the Triads and from David ap Gwylim and from Lady Charlotte’s Mabinogion and from Sir John Rhys, and from the Red Book of Hergest, and from Vita Gildae and from the Black Book of Carmarthen, but in my own Vita Merlin I’ve gone further than any of them into these things.’ Yes, Powys had! 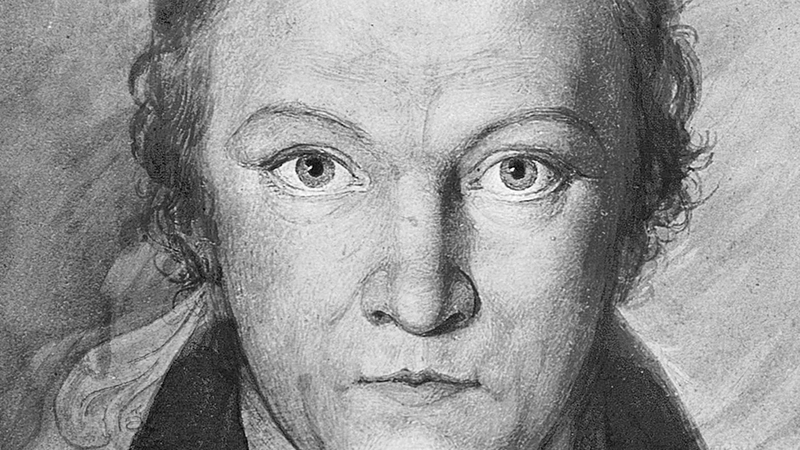 As Sir George explained in his poetry anthology ‘Magic Casements – The Use of Poetry in the Expanding of Consciousness’ Traherne’s work was lost and not rediscovered until the early 20th century. 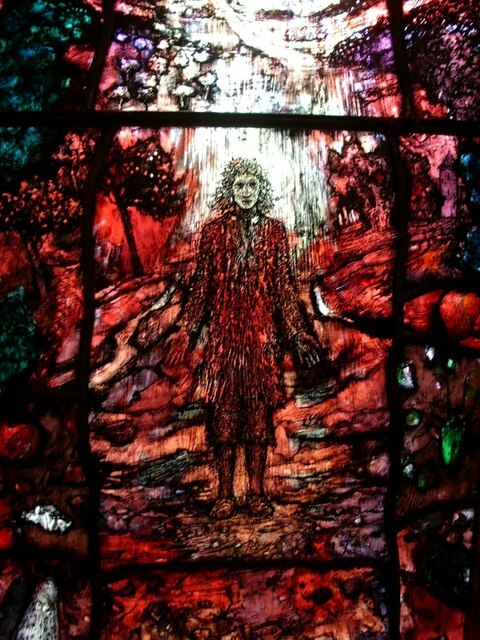 ‘In a sense that is appropriate’ wrote Sir George, ‘for only now can his vision be truly understood.’ Sir George knew that most of Traherne’s writing was striving to impart the living experience of oneness with the divinity in all created things. Trevelyan introduced Traherne in the anthology by saying, ‘The great discovery we are now making is that the void, or centre, we enter in meditation is indeed the magic portal through which we can pass into the eternal worlds.’ This is Traherne’s gift for a modern audience. 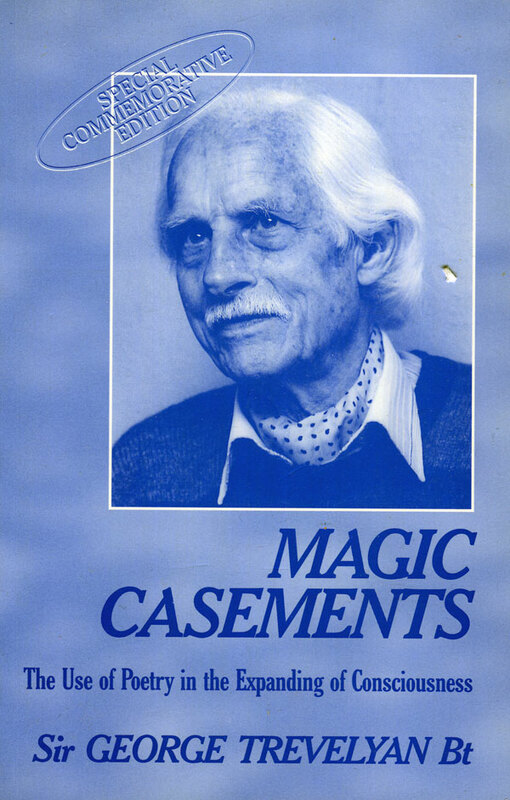 Sir George’s ‘Magic Casements’ collection could serve as a ‘Canon’ for the poetry we need to hear at this crisis point in evolution. Anna Kingsford, Blake, Wordsworth, Spenser, Coleridge, Traherne, Yeats, Eliot, John Donne, Shakespeare, Browning, Masefield, Sidney Carter, Gerard Manley Hopkins, D.H.Lawrence, Spender, Evelyn Nolt, Christopher Fry, and Walter de la Mare are all selected by Sir George, and all are worth investigating. In 1994 Harold Bloom, Professor of Humanities at Yale University had attempted to compile a ‘Western Canon’ (Harcourt, Brace & Co.). This was a much more mainstream brief that included Shakepeare, Chaucer, Milton, Samuel Johnson, Wordsworth, Jane Austen, James Joyce and Samuel Beckett. In his appendix of further reading he lists many 20th century writers under the heading ‘The Chaotic Age’. While many of his choices would fall outside our ‘Albion’ theme he does include Yeats’ ‘A Vision’, Powys’ ‘Wolf Solent’ and ‘Glastonbury Romance’, Edwin Muir’s ‘Collected Poems’ (also mentioned by Sir George), Virginia Wolf, Doris Lessing’s ‘The Golden Notebook’ and George Orwell who ,of course, wrote quite a lot about England. J.M.Barrie (1860-1937), the creator of Peter Pan, a friend of Arthur Conan Doyle and neighbour of George Bernard Shaw; Lewis Carroll (1832-1898)(Charles Dodson) the creator of ‘Alice’s Adventures in Wonderland’ (1865) and ‘Through the Looking Glass’ (1871), he also photographed Dante Gabriel Rosetti and Alfred Lord Tennyson; A.A. Milne (1882-1956), the creator of ‘Winnie the Pooh’ (1926) and ‘House at Pooh Corner’ (1928). Peter Pan, Alice, Winnie the Pooh – the wonder creations of fertile imaginations embedded in British quirkiness, eccentricity and Imagination. Real characters are barely disguised in this pilgrimage. For instance, ‘over the spring of living water’ Eager –Heart has a guest-house for pilgrims. This is during the era of Alice Buckton’s residence at Chalice Well and her most successful play was ‘Eager Heart’. As they leave Glastonbury Hampden asks the American, ‘What is an outsider?’ ‘You don’t know – One who has never been within.’ As they went away King (the American) muttered that THAT was silly. ‘Within the City, within the City’ says Hampden to him softly. They journey on to Iona, Lindisfarne, Durham and York. This little book is full of spiritual insight. 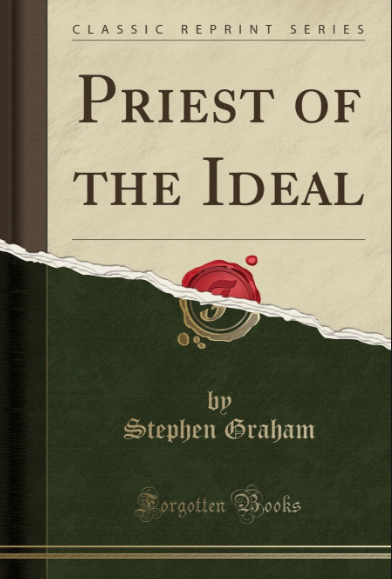 ‘Priest of the Ideal’ was published by MacMillan & Co. in 1917 and is reprinted now by It is a secret treasury worthy of discovery. 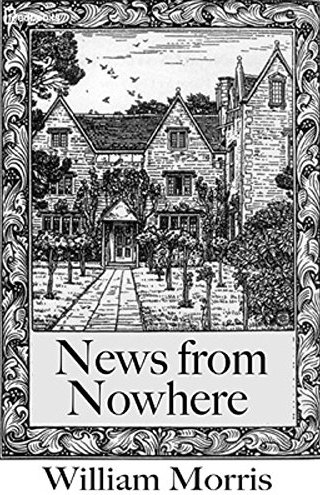 If we were to blend this account of travels around Britain with William Morris’ (1834-1896) visionary novel ‘News from Nowhere’ where is presented an England transformed following a revolution that had taken place in 1952 then we could envisage a realistic blueprint for reforming our land, our Albion. Change is always possible comes the message from William Morris. Life does not have to be the way it is. Morris was inspiring and revolutionary in his thinking and his actions. The Society for the Protection of Ancient Buildings, the beginnings of the conservation movement and the National Trust, the Arts and Crafts movement, the Garden City movement and the ideas that flowed into the Festival of Britain in 1951. All were kindled by Morris’ work in his lifetime. All these writers in this brief survey have tapped into that ‘something’ residing in the landscape of the British Isles. That ‘something’ that is now re-emerging, trying to break through into modern awareness, can be triggered and uplifted by Albion’s pantheon of writers. The point of all this – apart from the sheer joy of great writing – is to have a positive impact on human consciousness and our Earth on this co-evolutionary journey.